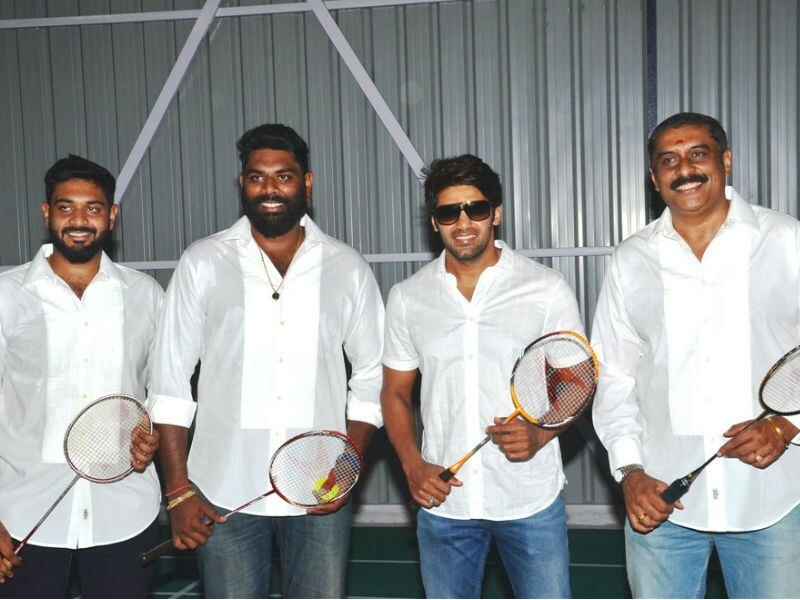 Vishwesh Rathnam, Dheeraj Vishnu Rathnam, Arya and Ajay Rathnam pose together during badminton academy launch in Chennai. 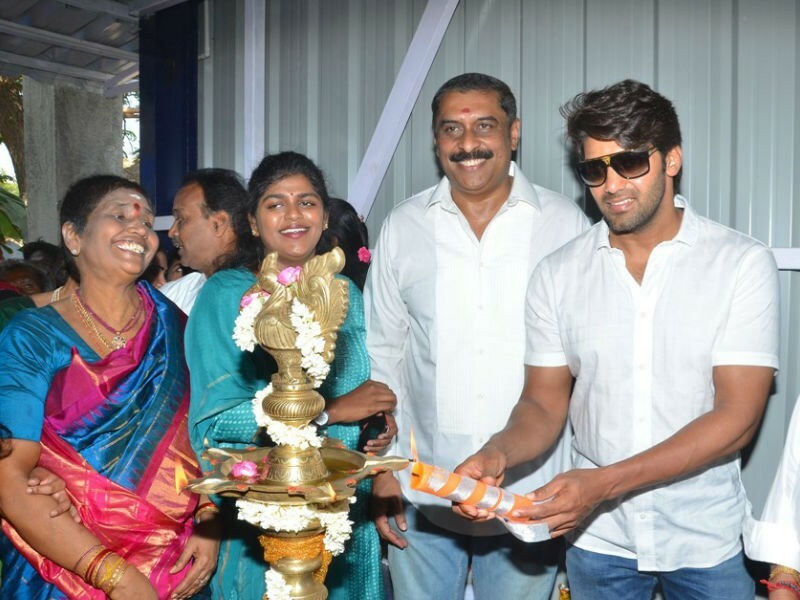 South Indian actor Arya inaugurates Ajay Rathnam's Badminton Academy "V Square" at Ayapakkam, Ambattur in Chennai on 10th April. Celebs like Dheeraj Vishnu Rathnam, Vishwesh Rathnam and others graced the event. South Indian actor Arya poses for the cameras during badminton academy launch in Chennai.